Business Growth is a stage where the business reaches the point for expansion and seeks additional options to generate more profit. Business growth is a function of the business lifecycle, industry growth trends, and the owners desire for equity value creation. The size of the capital raise. The term structure of capital. 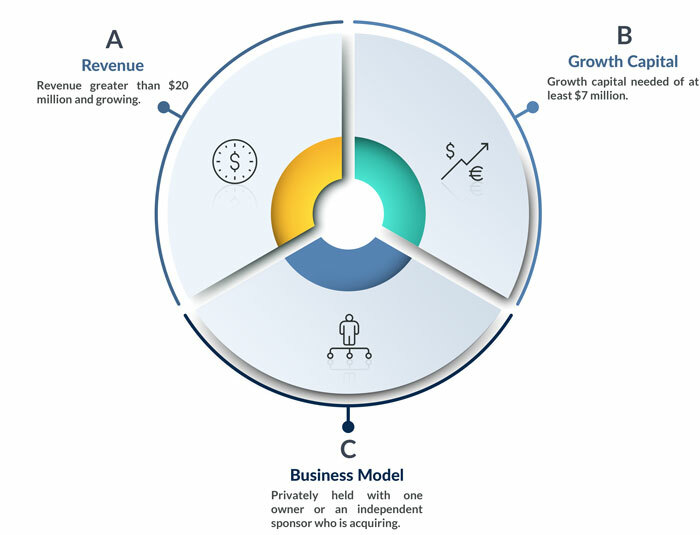 These four variables must be optimized to arrive at the best business growth capital solution. Most companies use an advisor to evaluate and source capital, due to the criticality of the job. Each of these variables are solved with market intelligence and deal making expertise. The end result is a business growth capital solution that satisfies your unique need, and allows your scale-up vision to take flight. Shaping the loan structure with the best custom features. Articulation of the Company’s strengths and growth story. Through this, we access capital from multiple lender channels, simultaneously. We know the key things the lenders are looking for and are able to shape your deal to qualify. The end result is a larger amount of capital at a lower price, in one integrated growth capital solution. When deals are properly shaped and articulated, you win. Lenders gain comfort and provide larger loans. This reduces or eliminates your need for equity, allowing you to continue to own 100% of your shares. Revenue greater than $20 million and growing. Growth capital needed of at least $7 million. Privately held with one owner or an independent sponsor who is acquiring.